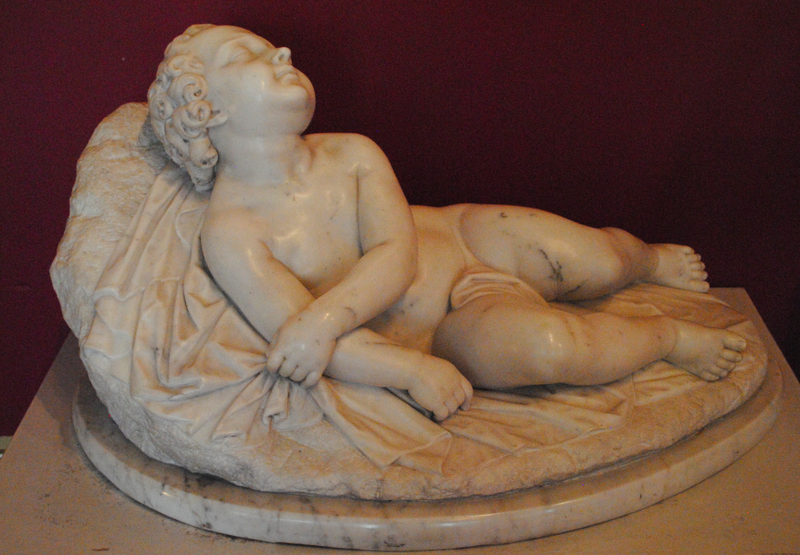 Dating to circa 1855, the above French sculpture depicts a sleeping child on an oval draped marble base. The white marble child lies partially on his right side with his head and chest raised by the base. 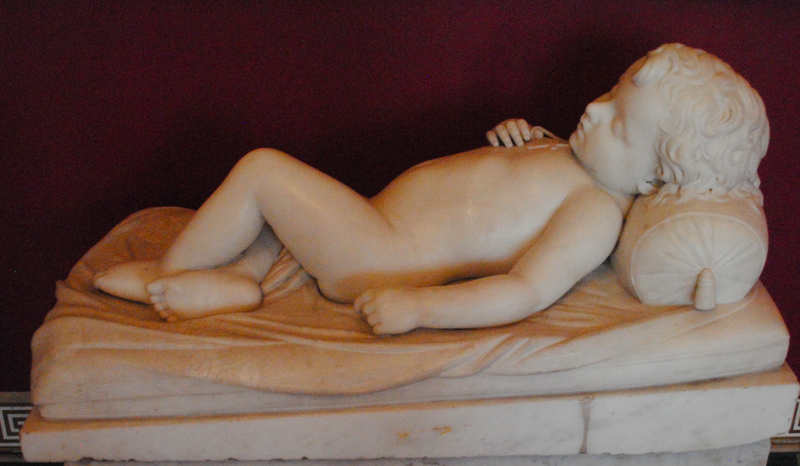 Similarly, the white marble child below also dates to circa 1855. The sleeping child lies on a draped bed with the head resting on a tasselled pillow. The right hand rests on the chest with the thumb holding a cord from which a crucifix is suspended.